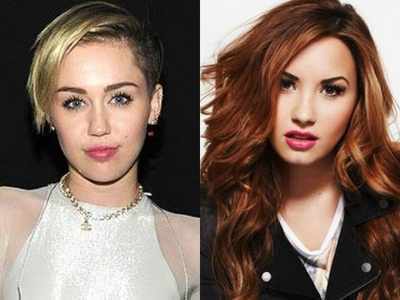 Singer Demi Lovato says she is proud of singer Miley Cyrus for embracing sobriety. Lovato, who earlier celebrated the five-year anniversary of the er own sobriety following drug and alcohol issues, is pleased Cyrus has also decided to give up using drugs. “I am really proud of Miley. I think that it helps people to know that there are people in the spotlight that have challenges, that are faced with very stressful lives,” Lovato told hollywoodreporter.com. “I think it helps to know that recovery is possible and it’s something that is so important to certain people like myself,” she added. Further putting light on the issue, Lovato said: “I wouldn’t be alive without my sobriety, and the people that are sober today in this industry, I commend them a lot.